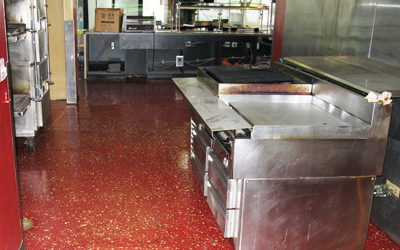 In today’s food industry, floor coatings are of paramount concern because flooring impacts an entire facility. 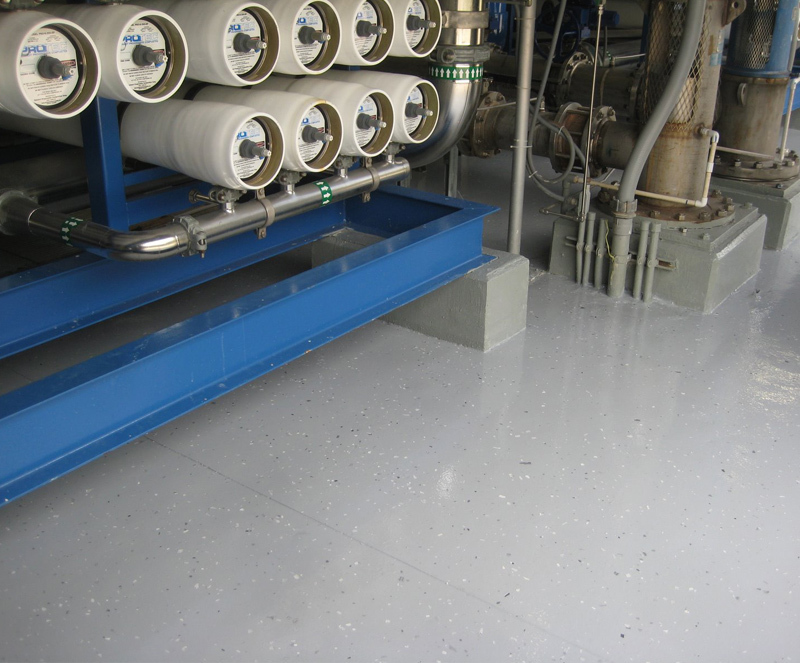 UCoat It floor coating systems are of the highest standards and help to comply with industry guidelines for good hygiene practice and efficient production. 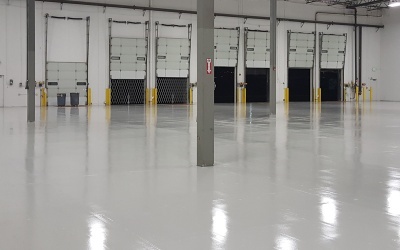 UCoat It is durable and thick enough to create a protective barrier that prevents contaminants from permeating concrete and wood substrates. 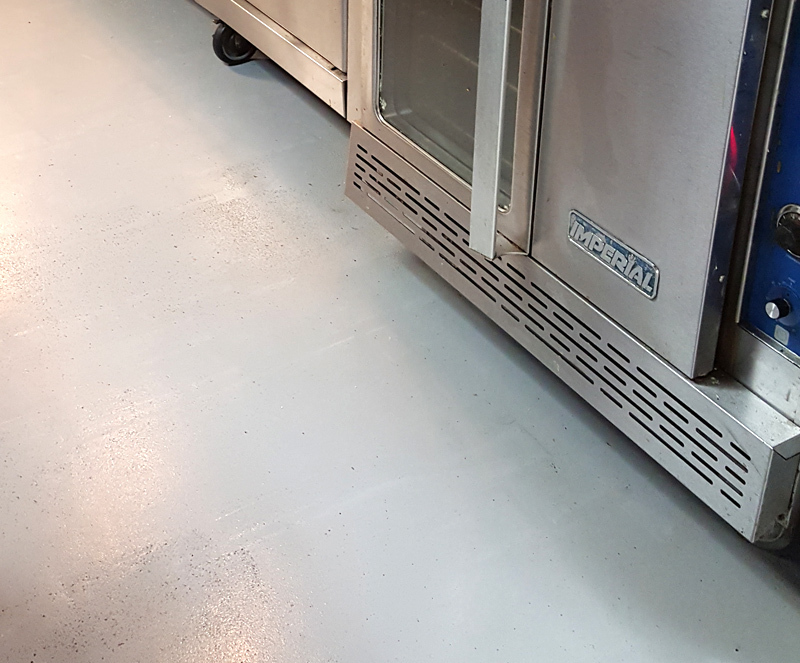 Food industry floors are typically exposed to contaminants that can cause serious damage to concrete because of their corrosive nature. 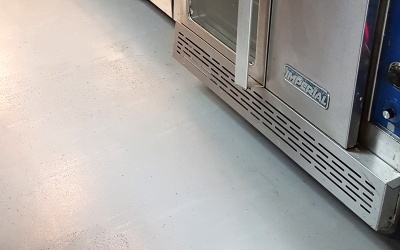 Additionally, these types of impurities can infiltrate uncoated concrete and wood substrates, resulting in the growth of bacteria and subsequently degrade processed food’s purity. 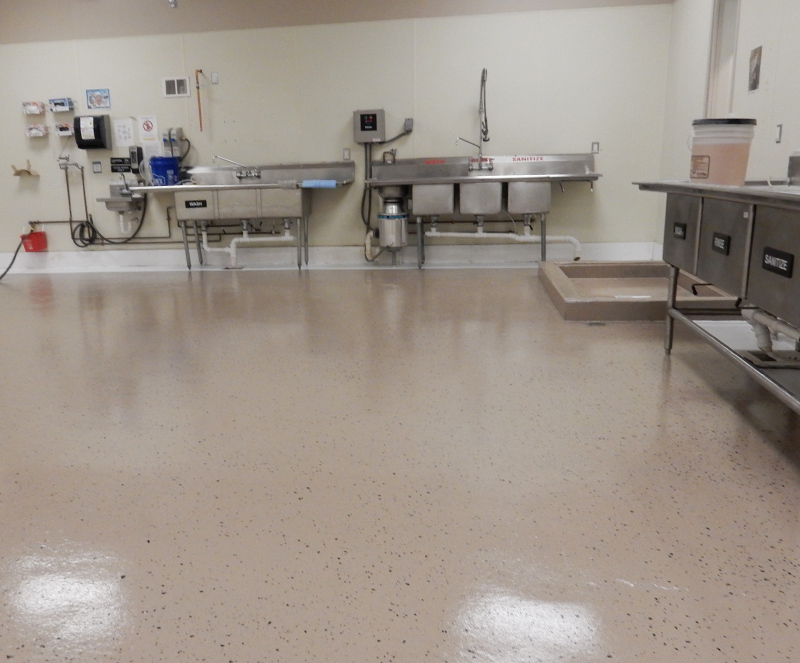 Our floor coatings offer a seamless, impermeable barrier that can be easily cleaned and ensure a hygienic surface. 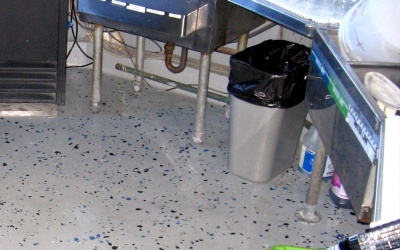 Unprotected floors in a food processing facility can lead to slips, bacteria, and hard to clean areas. 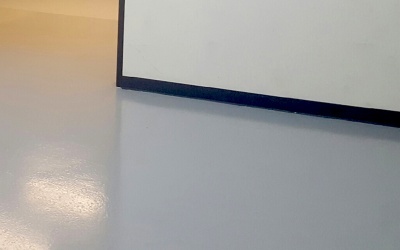 Our anti-microbial, high-gloss floors are the perfect choice to make your facilities floors anti-slip, abrasion resistant and safe from fungal growth. 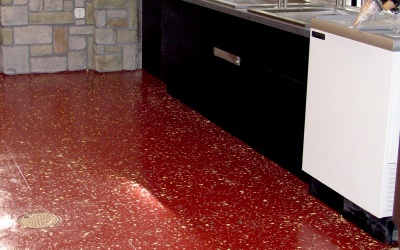 This series of floor coatings is also USDA approved. 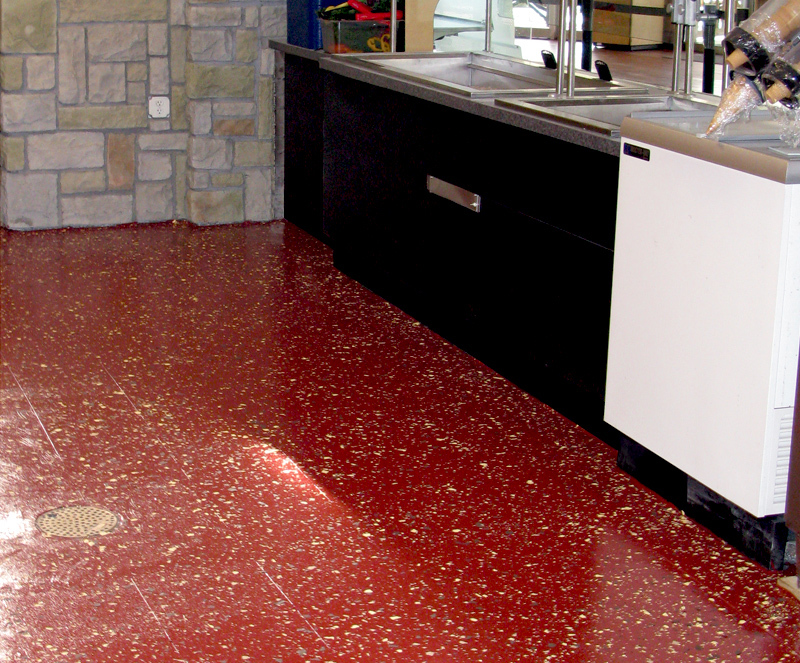 Creates a barrier to spills, food, scuff marks, and more. 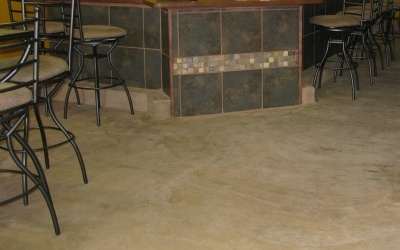 Makes for an easy to wipe up and smooth surface. 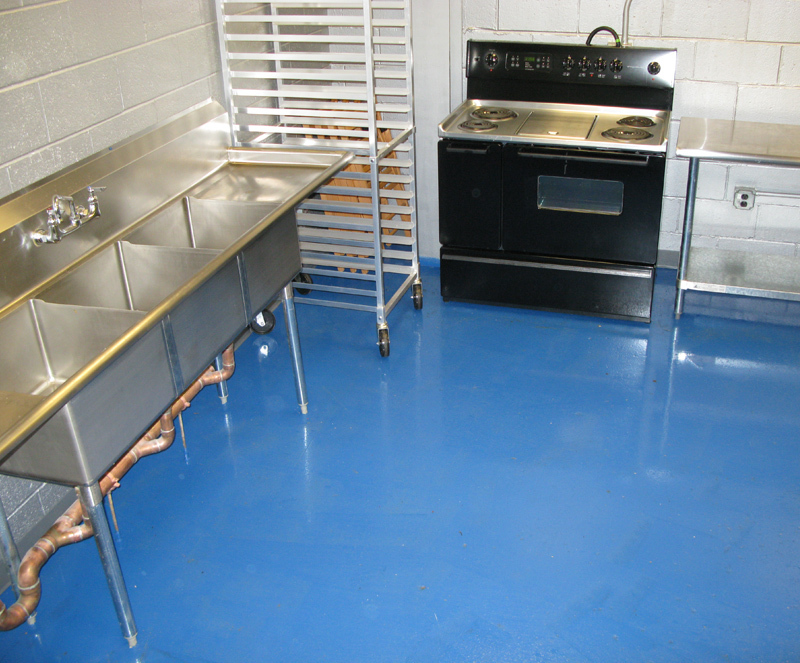 Maintaining a clean and safe environment in your commercial kitchen should be your top priority. 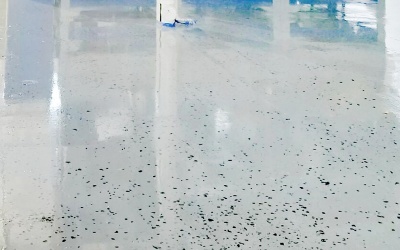 Unlike traditional tile floors where bacteria can often collect in the grout lines, our seamless design leaves nowhere for these harmful microorganisms to hide. 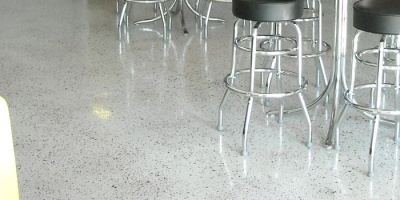 Select systems offer highly chemical and heat resistant top coats that help make your floors incredibly easy to clean. 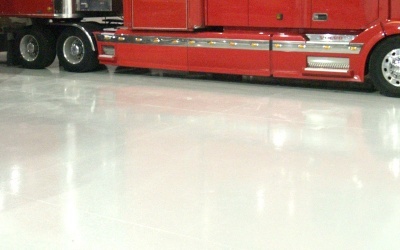 Worried about slippery floors? 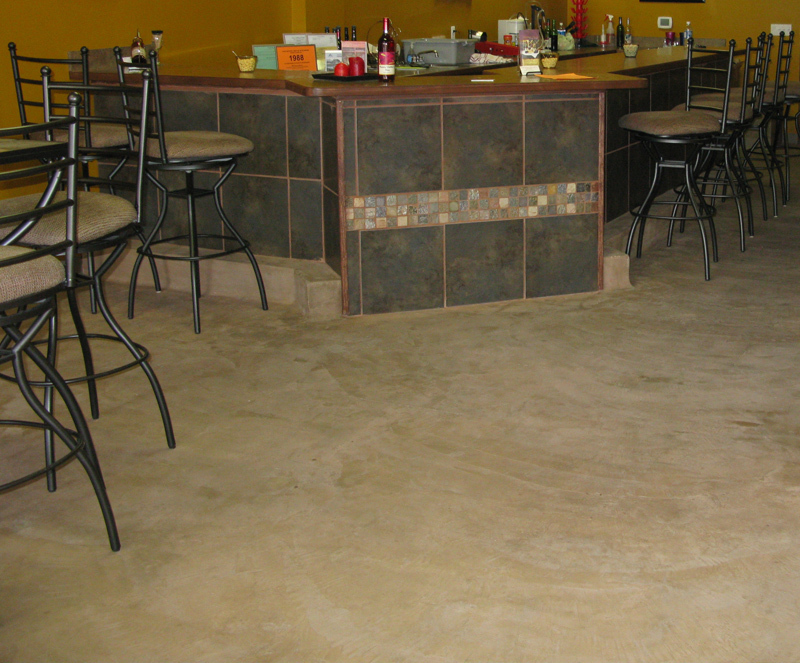 Don’t be, all our systems come standard with non-slip aggregate that you can broadcast as lightly or as heavily as you desire. 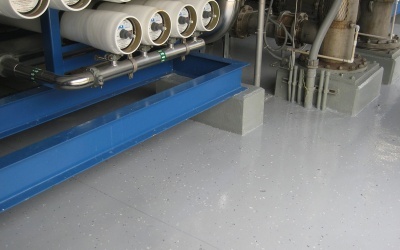 Oils, solvents, chemicals, and more are unable to sink into substrate because of the barrier provided in the bond coat. 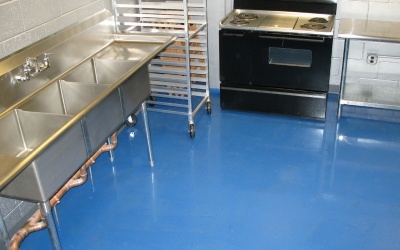 Preparing food can be a rewarding and exciting job, if there is a clean area to prepare it in. 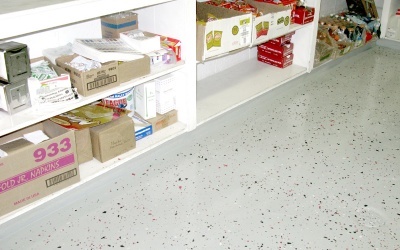 Spaces that are prone to grime and bacteria can cause fungal growth to attack the floor and food that is being processed. 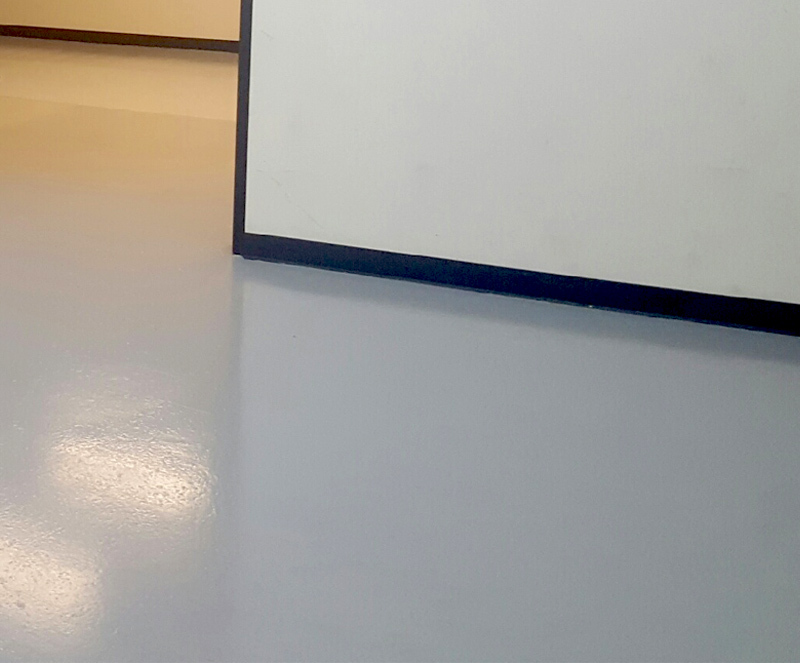 Stop the bacteria in its track with UCoat It’s Anti-Microbial Floor Coating Series and kill bacteria on the spot. 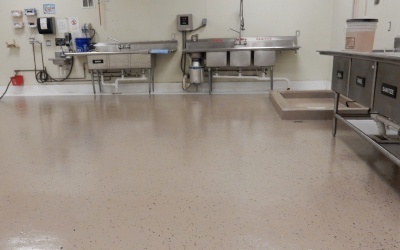 Optional anti-microbial top coat that helps fight against growth of bacteria and micro-organisms, allowing your area to stay clean. 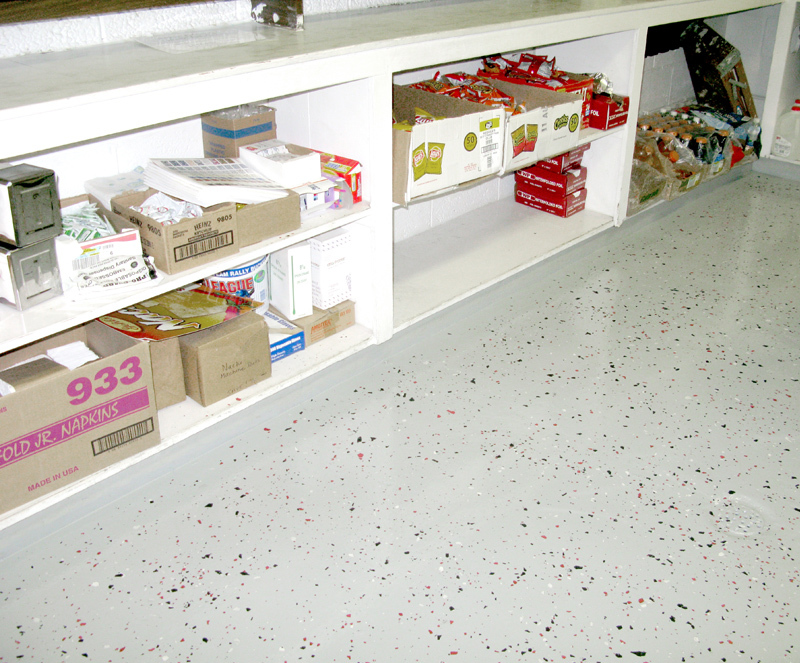 Peeling, lifting, and blistering on any floor coatings are covered under our lifetime warranty. 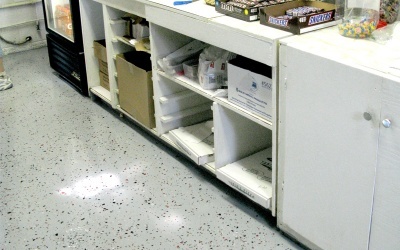 Distribution centers are areas that deal with heavy foot traffic, big machinery, and packages of food. 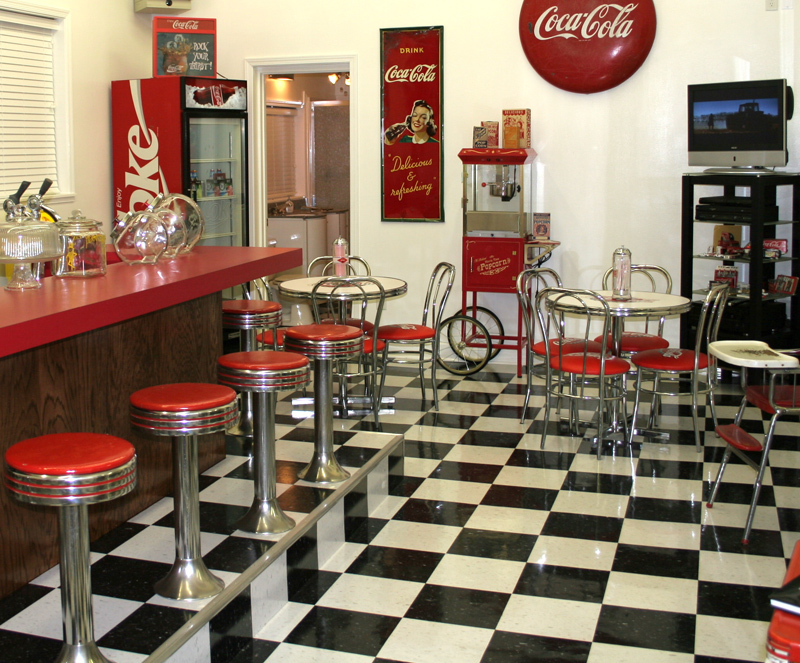 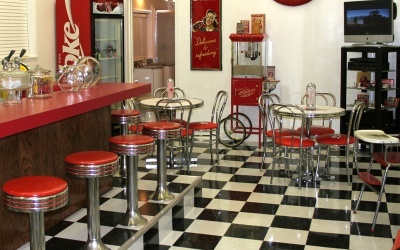 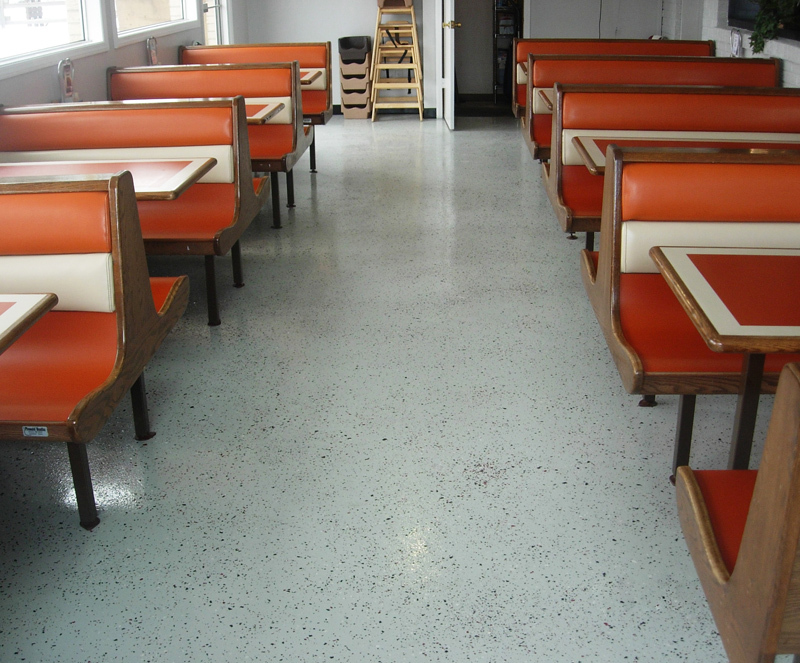 With this kind of area, you need a brighter, non-slip floor that won’t disrupt the purity of the food. 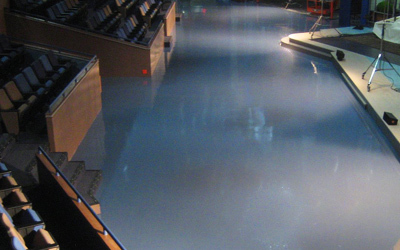 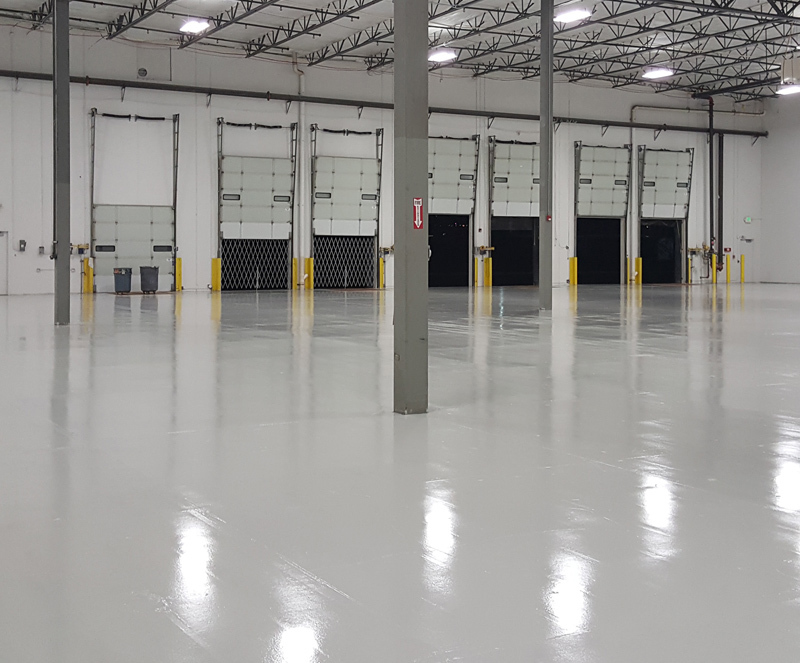 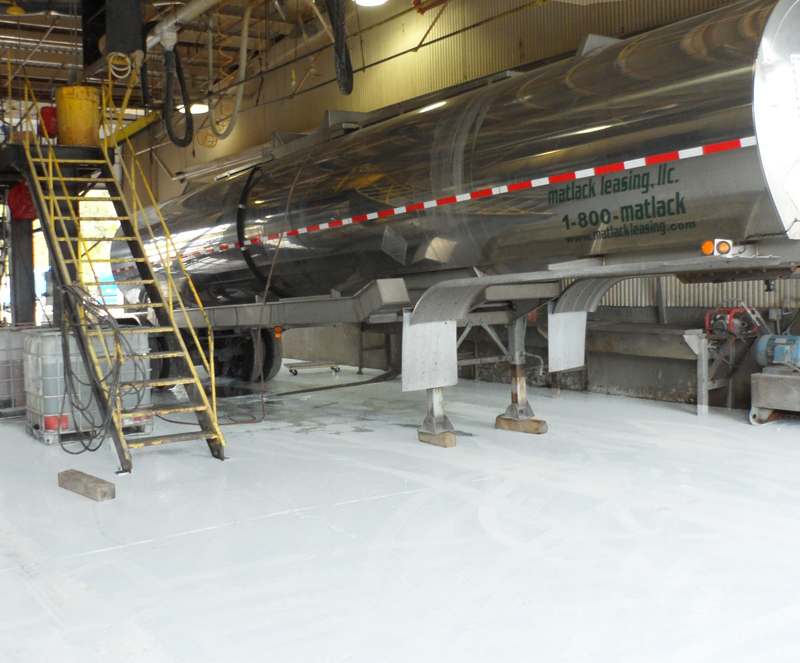 Applying a UCoat It epoxy floor coating system is the best solution to upgrade your facilities floors. 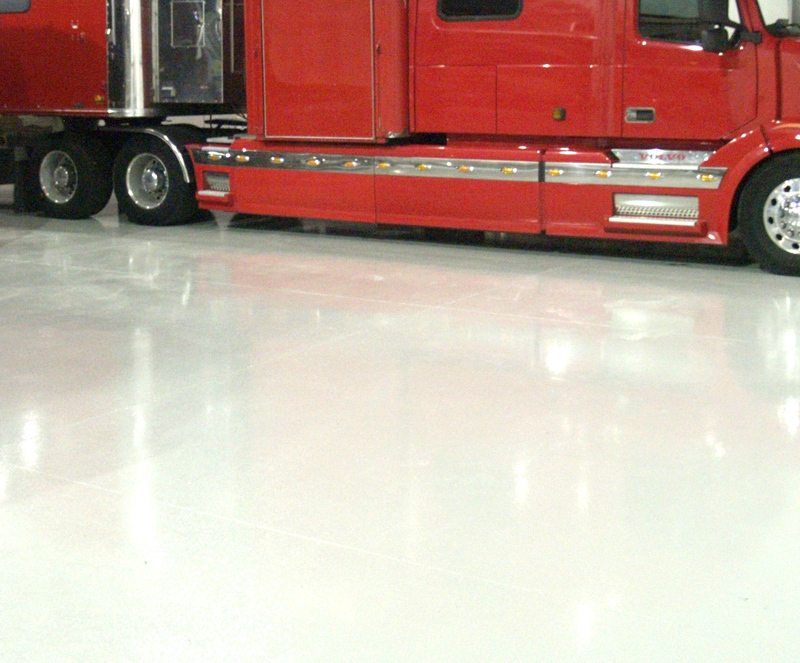 Available in 13 different colors. 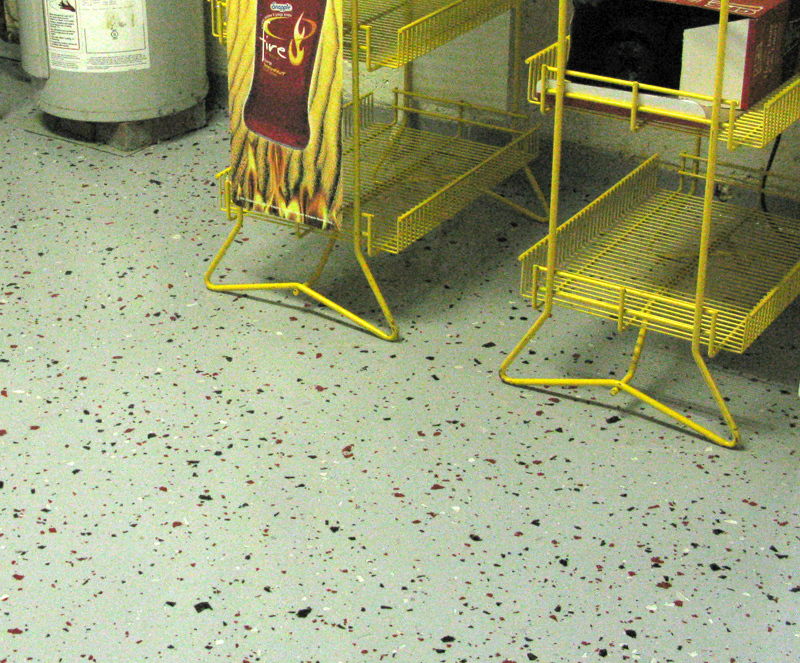 With over 60 colors and combination flakes to choose from, finding the best color for you is easy. 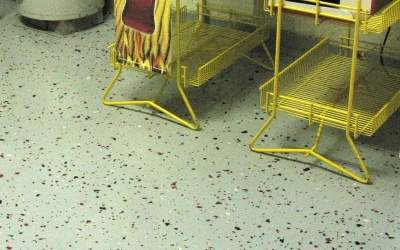 A UCoat It floor coating leaves substrate with a hard and defensive seal to protect against hard dings and knocks. 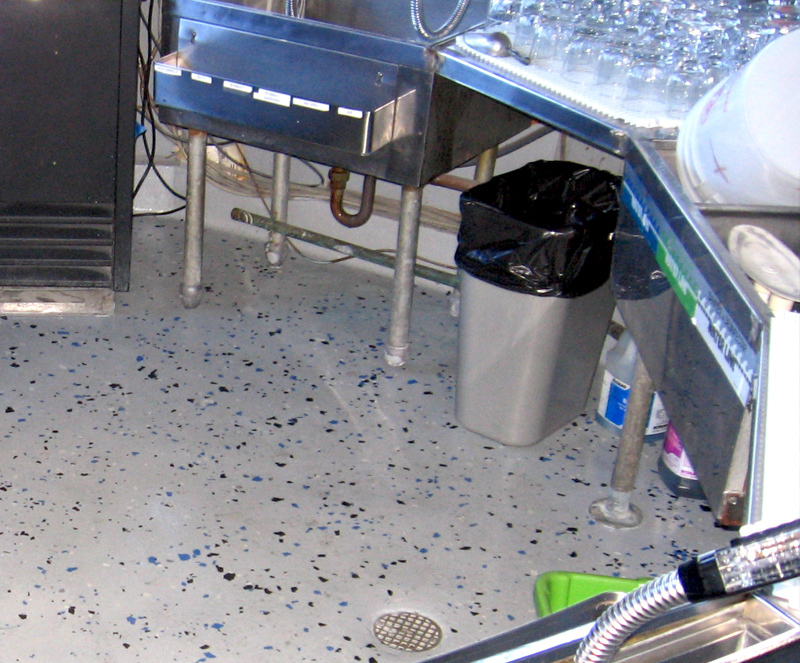 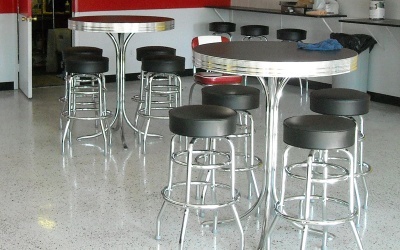 Drink and food spills, dirt, chemicals, snow, grass, and more can all come into restaurant kitchens and dining areas. 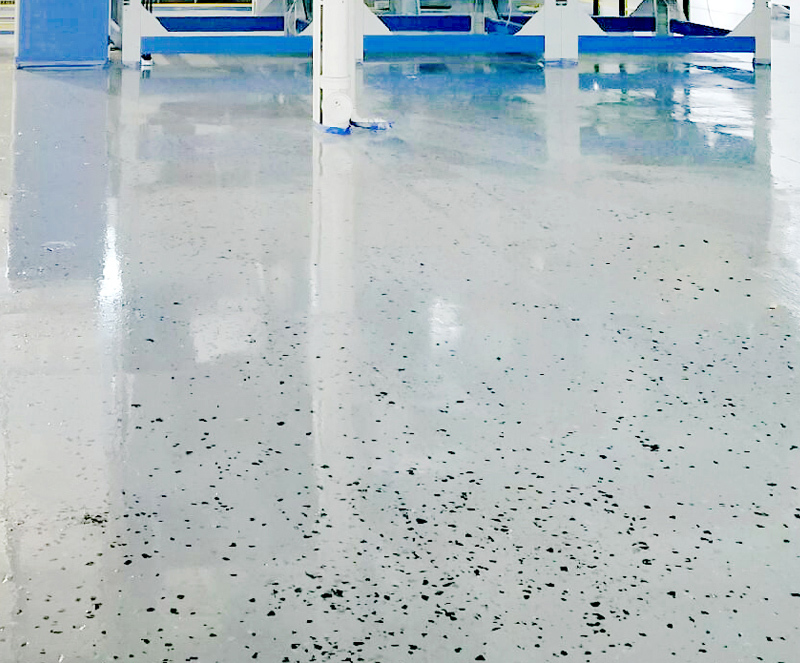 Stop the damage from these deterrents by upgrading your floors with an easy to clean, anti-microbial, non-slip epoxy floor coating from UCoat It. 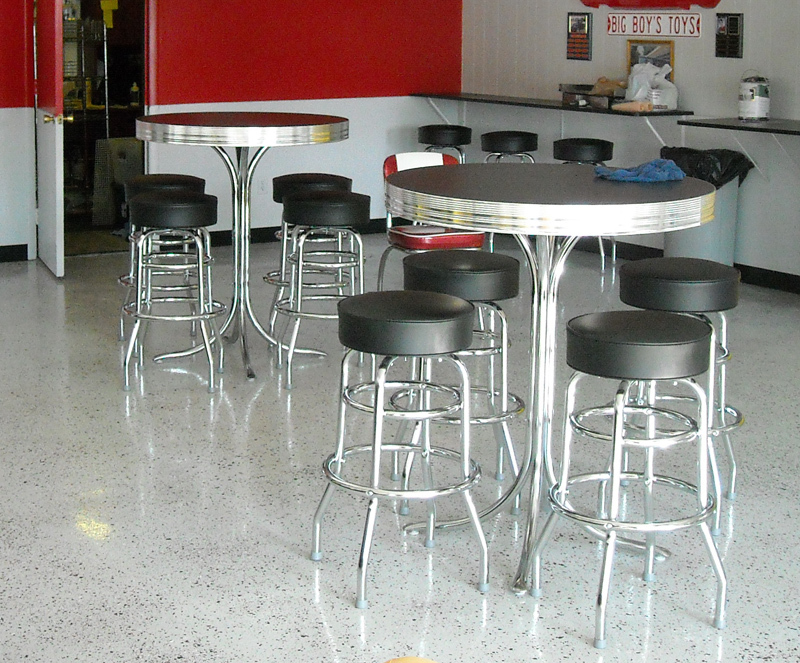 Create a better environment for your workers and customers! 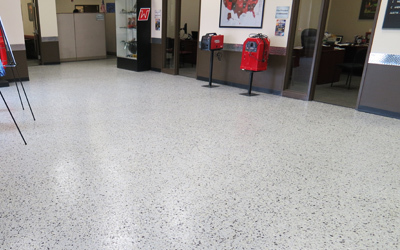 With 13 different base colors to many flake options to choose from when upgrading your floor, you can compliment any decor. 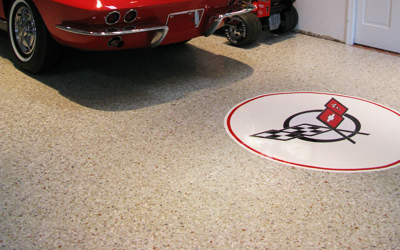 Every system UCoat It offers comes with URock and UTex, two of our anti-slip agents. 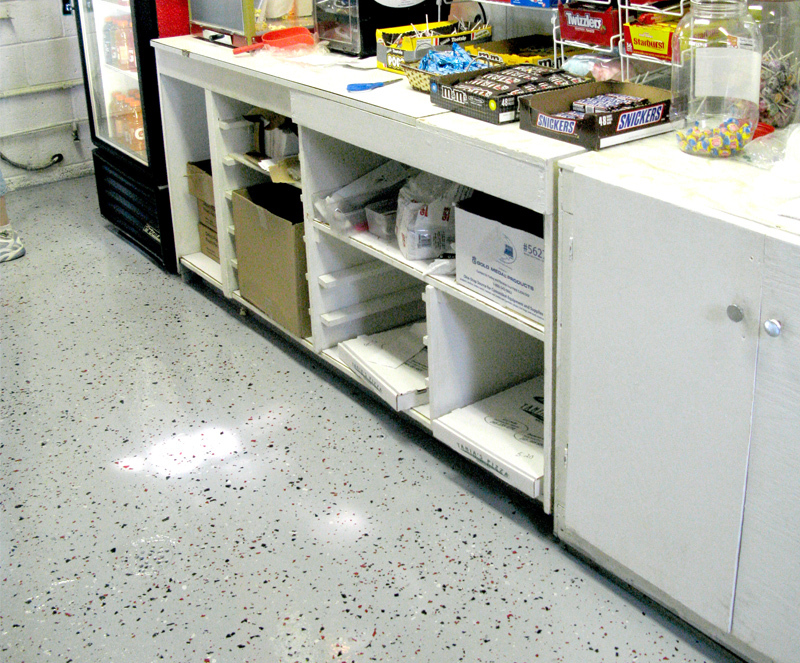 Grease, dirt, and spills are very common at concession stands. 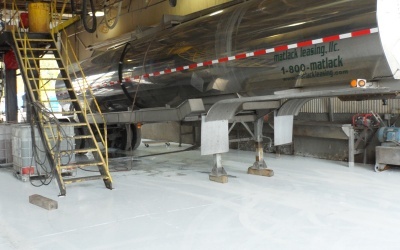 From workers tracking in dirt to the popcorn machine leaking oil, accidents happen. 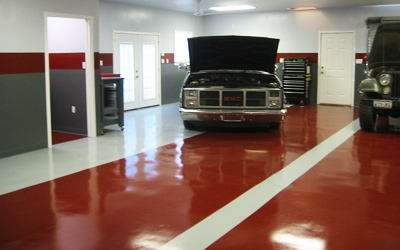 Protect your floor and your workers by applying a DIY, commercial grade floor coating from UCoat It. 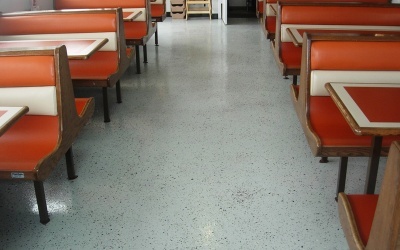 Available in 13 different colors and over 60 different decorative flake options, the possibilities are endless.